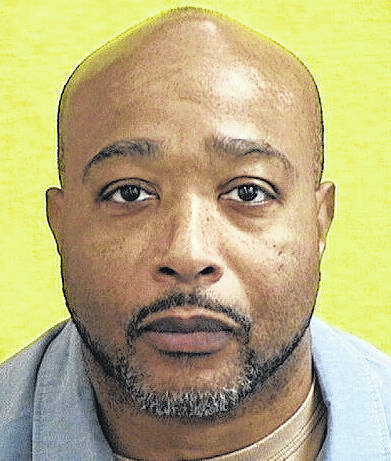 BUCYRUS — Convicted triple murderer Kevin Keith has filed a lawsuit against the City of Bucyrus and other, accusing them of violating his civil rights. Bucyrus law director Rob Ratliff said U.S. Marshals delivered the lawsuit paperwork in January. The suit was filed Jan. 8 in U.S. District Court, Northern District of Ohio’s Eastern Division. “This will cost the city a lot of money to fight,” Ratliff said. Keith was convicted in 1994 of shooting to death Marichell Chatman, her seven-year-old daughter, Marchae Chatman, and Linda Chatman, as well as shooting and wounding an adult, Richard Warren, and two young children, brother and sister Quanita Reeves and Quinton Reeves, at a Bucyrus Estates Apartment. Then-prosecutor Russell Wiseman said the motive for the murders was revenge, that Keith believed a relative of the Chatman’s had been a drug informant. Keith was sentenced to death, and was less than two weeks away from being executed, when then-Ohio Gov. Ted Strickland commuted his sentence to life without parole. One of Keith’s attorneys, James R. Wooley, said the lawsuit was filed because Keith is an innocent man. Keith and his attorneys have tried several times — unsuccessfully — to get a new trial, the last time in 2017. The latest lawsuit states that Keith was deprived of evidence that he could have used to demonstrate his entitlement to a new trial. The suit alleges that key forensic evidence against Keith provided by forensic scientist G. Michele Yezzo was not trustworthy, because Yezzo was known to the Bureau of Criminal Investigation (BCI) as an analyst who would “stretch the truth to satisfy” law enforcement. The lawsuit also alleges that then-Bucyrus Police Officer Mike Corwin and the City of Bucyrus concealed from Keith the evidence demonstrating that the Bucyrus Police Department ignored a defense subpoena issued at the time of Keith’s trial. Keith’s 2010 new trial motion was dismissed in part because Keith did not establish “bad faith” on the part of the police to meet the requirements under Arizona v. Youngblood. In response to a 2017 public records request, the suit states that the Bucyrus Police Department, Corwin, and City of Bucyrus finally disclosed to Keith evidence that demonstrated the department’s bad faith. Keith and his attorneys are alleging that the defendants’ actions have resulted in Keith’s inability to have the evidence heard on the merits and that the lawsuit brings this civil rights action to obtain some effective vindication of Keith’s right to access to the courts to have the forensic evidence reevaluated fairly and to discourage these and similar defendants from such blatant constitutional violations in the future. Along with the City of Bucyrus, defendants in the case include Yezzo, Corwin, Daniel Cappy, John Lenhart, the Bucyrus Police Department, the Crawford County Prosecutor’s Office, Crawford County Prosecutor Matthew Crall, the Ohio Bureau of Criminal Investigation and Ohio Attorney General Mike DeWine. To view the complaint and jury demand for all the details of the lawsuit, visit www.courthousenews.com/wp-content/uploads/2018/01/KevinKeith.pdf.